• Labrador Retriever breeders are listed below in alphabetically by State / city. 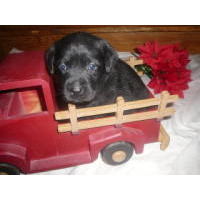 • Click on underlined words to find Labrador Retriever puppies for sale. • Please tell the Labrador Retriever dog breeders with puppies for sale that you found them on BreedersClub.net. Labrador Retrievers are exceptionally intelligent and have a keen sense of smell which help them excell in trailing, retrieving and point to several types of fowl and animals. Labrador Retrievers are recognized as all around gun dogs. They feature an even temperament and enjoy active families that will give them plenty of exercise. We are a Christian family in southeast AZ who have enjoyed raising puppies for 28 years. We live in the country so the pups have lots of sunshine and fresh air. We get the parents hip and elbow certifications (OFA) when they are 2 years old. We sell with the first vaccinations, wormings, and we include a microchip. We have a written health guarantee through 18 months that the buyer and seller sign and both get copies. We also send home copies of the parents AKC registration and their OFA certificates. We take all our adult dogs on a daily run, feed them good quality food, keep their shots current, and give them the best care possible. We offer beautiful, quality, purebred puppies. All of the puppies here come with Full/Limited AKC registration. The puppies will come with their dewclaws removed between 3 and 5 days old. They are given their first vaccines at 6 weeks of age and will be dewormed at 2, 3, 4, and 6 weeks of age (as recommend by the AVMA). All of our puppies come with a 2-year WRITTEN HEALTH GUARANTEE. We offer Silver, Charcoal, White , Chocolate, Fox Red, and Black colors. AKC Registered, OFA Certified. We have been training, hunting, and raising Labrador Retrievers since 1970. We are breeders of yellow, chocolate and black Labrador Retriever puppies. We strive to have intelligent, good looking, sound puppies with low-key temperaments, while maintaining an enthusiastic working ability. We live in Ontario, California which is near Los Angeles in Southern California. Shipping in the U.S.
We are AKC Inspected and Approved and have our Private Kennel License. We have been raising hunting/ show dogs for over 5 years. We have Labrador Retriever’s in every color from a combination of show/field lines. Over the past 4 years we have added several Grand Champion and Champion Sired dogs to our family from top show lines. We do not ship our pet/companion puppies and have always required pet owners to pick their pups up in person. NO EXCEPTIONS to this rule. All of our dogs are raised as part of our family with lots of love. It is our goal to produce top quality, sound, healthy and beautiful canines. We have been breeding AKC registered dogs since 2003. We do all available health testing for our breed. All of our breeding dogs have hips, elbows, knees and cardiac certified by OFA, eyes opthalmologist certified yearly and pups are guaranteed to be genetically free of PRA, CNM, EIC, HPNK, DM, RD, and several other potential diseases. Written money back Health Guarantee included. Puppies are microchipped, have first vet check, shots, and dewormings. They are well socialized with children, cats, and large and small dogs, and have beginning manners training and crate training. We also have Stud Service available. We are a family operated kennel having been breeding AKC registered dogs since 2002. Our breeding dogs go through rigorous health testing that includes, hips, elbows, eyes, cardiac and CNM. We typically have 6 - 8 litters each year and most of our pups are sold before they are born. Our pups leave here fully up to date on all vaccinations and have been started on the crate training process. We are located in central California about 1 1/2 - 2 hours from the Bay Area, Sacramento and Fresno. We have been inspected by the AKC and pride ourselves in having the cleanest and most up to date kennel facility in the business. All of our pups are handled daily by our 4 kids. We know that getting a pup is a very enjoyable experience and our goal is to make the process leading up to the day you take your pup home just as enjoyable. Absolutely gorgeous AKC registered puppies with blocky heads and a tremendous show line of Champions. These puppies have the potential to be very heavy boned. We have thoughtfully breed for the best in temperament, ability, loyalty, trainability, looks and disposition. All puppies will have had dew claws removed, first shots, and 4 rounds of dewormer. These puppies have been raised on a farm with 5 loving children. Our puppies have been handled from day one and are well socialized with people, dogs, cats and especially children. We also offer Stud Service . Terry Family Farm Kennel is a small hobby kennel .All of our puppies are bred to the AKC and ACHC standards. We breed for great temperaments and intelligence as well as no/low shedding, hypoallergenic and hybrid vigor qualities. Our puppies are fully guaranteed for their hips and eyes for two years. The main goal of our kennel is to breed a versatile dog, one who will be a loving family pet as well as a dog who can hunt. In other words: a dog that can do it all. We use a comprehesive breeding program designed to produce quality puppies that have a sound genetic background. Puppies are AKC registered with no limitations. They have dewclaws removed, micro-chipped, wormed twice and have first and second vaccinations when they are ready for new homes at 8 weeks of age. All puppies come with a 28 month guarantee on their hips and eyes. Parents are DNA tested for CNM and EIC and puppies are guaranteed to be unaffected by these conditions. Puppies are introduced to wings and crates, they are handled daily and well socialized when they go to new homes. I have had dogs all my life. I have experenice breeding dogs, of all sizes within my life time. We love animals, especially dogs. 10 plus years breeding, home raised, vaccines, worming and docking of tails are up to date. All puppies and adults are AKC registered. Fabrizius Farm is a fifth generation farm that is very proud of the pets they produce. Gerard and Judy Wiesbrock Fabrizius have been raised their entire life on a farm and have the hard work dedication it takes to be proud breeders of quality animals. Please check out our web site for more information about the farm and the dogs and horses. We strive to make you happy with the best pet for your family. Stud Service available to approved females. I live in the beautiful hills of the Ozarks. I have a home in the country. My kennel is family owned and operated. I have 1 son and his family. We all work together to raise healthy, very sociable puppies. I have raised puppies for 35 years. We really take good care of our dogs. We give vaccines and wormings to the puppies. They are ready to ship when they are 8 weeks old. A health guarantee is given with each puppy sold. We ship by airlines. AKC Breeder of Merit offering quality English black, yellow, & chocolate Labradors. Parents are OFA (hip, elbow & eye), praPRCD, EIC, CNM, & HNPK tested & have solid 5 generation health histories, are well socialized & raised in clean country setting. We show in conformation and produce dogs having wonderful dispositions for competition, therapy, hunt, and pet homes. WRITTEN HEALTH GUARANTEE. We have been raising puppies for about 20 years. We raise them with our family. Our puppies are well socialized. Our parents have certified hips, and elbows. We live in the country with a pond right beside us that our dogs like to play in. All of our puppies come with a 26 month health guarantee on hips, elbows and eyes. We have taken great care to select dogs for our breeding program that have excellent personalities and have great genetic health. Our dogs love to run and play in our large yard. We work closely with our vet to insure that all our dogs and puppies are in great health. If you need your puppy shipped, we will do so at buyers expense. AKC Show Champion Pedigreed lines, we continue to hold the '5 Star Breeders Award', Our puppies are all very well socialized, vet checked, all worming and vaccines are up to date and documented and health guaranteed. Breeding for the past 23 yrs we have been very pleased with our lines, for we now have 3rd and 4th generations of sound, healthy lines. Striving to always better the breed, we average once a year breeding per female and buy in new studs when necessary. 50 + years experience in the breed, lifetime guarantee. Let us custom build one for you! I am old fashioned, honest, & I guarantee a return phone call. We want your business! We specialize in breeding beautiful, docile dogs that will make both gorgeous pets, service dogs or hunting partners. Our pups are raised on our lush farm in the piney woods of east Texas. We are Located between Houston and Dallas and will ship throughout the United States. Pups come to you with health, hips and elbows guaranteed. All pups are fully wormed, vaccinated, dew claws removed and socialized. We look forward to your visit to Cross G Farms. I breed from competive field lines. Breeding since 1973, AKC registered. I microchip puppies and provide full registration. Puppies are vet checked, up to date on shots and worming, health guarantee, shipping available, AKC Breeder of Merit. I've produced field trial champions, master hunters, senior hunters and junior hunters. We also offer training: obedience; gun dog; water & field training. We offer boarding, with or without training. We occasionally have started dogs available. We are a state inspected kennel who take the best possible care of our dogs and pups with good conditions, regular exercise, and good nutrition. Kennel License #268722-DS. We socialize our puppies and dogs with adults and children. They are very much a part of our family. The parents are AKC and have excellent bloodlines. Each pup comes with a two year guarantee. The puppies are all vet-checked, vaccinated, shots, and have dew claws removed. We have been breeding for nine years and pride ourselves on our puppies. I have been breeding high-quality puppies since 1988. I am an AKC Breeder of Merit. Many of my dogs have titles. My dogs are raised in my home, well socialized, English style, AKC registered, OFA certified hips, elbows, and hearts, CERF eyes annually, genetically tested for CM, CNM, EIC, HNPK, PRA, Retinal Dysplasia/Ocular Dysplasia, Skeletal Dysplasia, and Dilute Gene. All these tests sum up puppies from health tested parents. My dogs are bred for correct temperament, large boned and with blocky heads. Puppies are wormed and 1st shots given. At Hunters Kennels, our passion is to provide Hunters, competitors and families with exceptional well-bred retrievers. Hunters Kennels is passionate about bettering the breed through selective breeding. We know the top dogs, and breed the best proven Retrievers in the country for serious hunters and families, that want an exceptional Family pet, Bred with good genetics to be, smart, healthy, and easy to train. 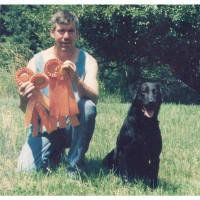 Hunters Kennels is a small family kennel proud to be Nationally known for our retrievers. Hunters Kennels has trained and competed retrievers in many different venues, we have won many State, National, & World Champion Titles, with our retrievers over the years. (THE PARENTS WILL MAKE THE DIFFERENCE!) All our females or stud dogs are examined, and certified by the Orthopedic Foundation for Animals (OFA), and the Canine Eye Research Foundation (CERF). 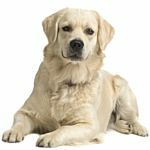 This breed directory page features Labrador Retriever dog breeders with puppies and/or adult dogs for sale. Once you purchase your new found friend, you will want to provide it the best in pet health care. Be sure to visit our online discount pet supplies catalog and order NuVet Plus™ to keep your puppy and adult dogs in top condition. The discount catalog also features collars, leashes, carriers, general pet care products and much more. BreedersClub.net does not pre-screen the Labrador Retriever dog breeders who advertise their puppies and dogs for sale in the BreedersClub.net breeder directory and in the classified ads. We require all advertisers to agree to our advertising terms. You should ask the Labrador Retriever dog breeders you talk with for references from past buyers and veterinarians.